Roya Sullivan joined Macy’s in 2012 and was named National Director of Window Presentation in 2014. Prior to her time at Macy’s, she was the Visual Design Director at Bloomingdale’s. Roya attended the Corcoran School of Art for her B.A. and received her M.F.A. from the Pratt Institute. 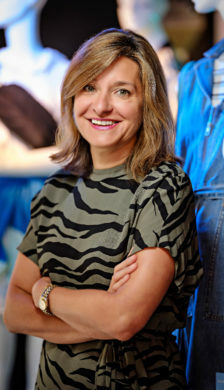 She is the recipient of several prestigious industry awards from design:retail and WindowsWear and has been featured in publications such as The New York Times, USA Today, Entrepreneur and more. Roya was born in Iran and grew up in Germany, and later Connecticut. She lives in New York City with her husband and two sons.